Heat grill to medium-high heat. Toss red bell pepper, onion and garlic with olive oil in a small bowl. Pour oiled vegetables onto a large piece of tinfoil and place on pre-heated grill. Cook vegetables until soft and fragrant about 10 minutes. 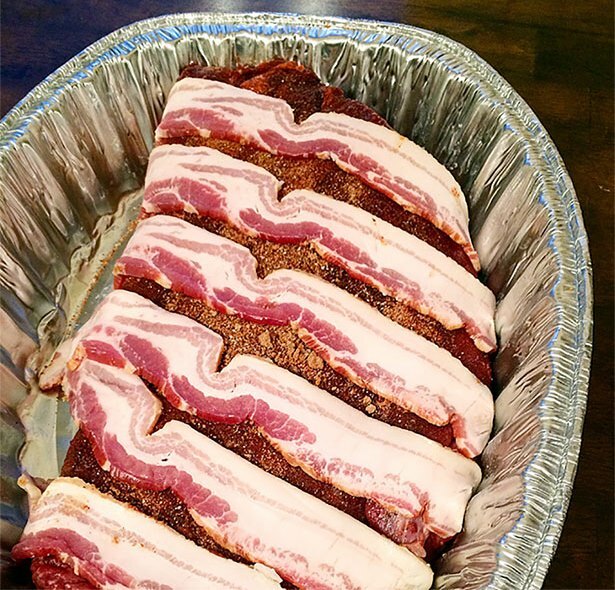 Remove from heat, close tinfoil and set aside. Heat a pan over medium heat and add the remaining barbeque sauce ingredients. Continually stir sauce to avoid burning and reduce to low if needed. Cook for 15 minutes until sauce coats the back of a spoon. Remove vegetables from tinfoil and add to sauce pan. Stir and remove from heat. Add sauce to a blender or food processor and pulse until smooth and blended. Slice hoagie rolls in half and place pulled bison brisket on one side. 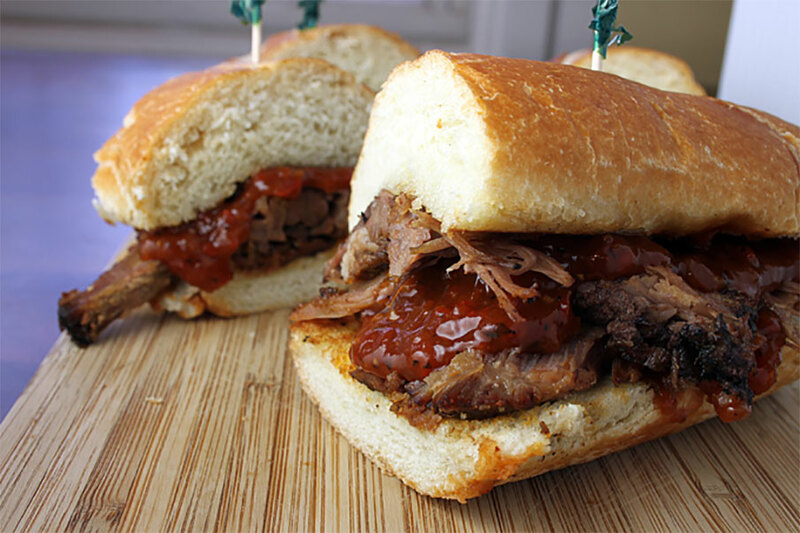 Pour red bell pepper sauce over the top of the meat and close sandwich. Slice and serve.